(Washington, D.C., January 18, 2019) – Howard University, WHUR and FedEx are teaming up to restock the shelves of federal workers in the DMV. Staff members will visit highly populated local government and private industry buildings in the DMV on Thursday, January 24th and Friday, January 25th where employees are scheduled to bring much needed non-perishable food for their federal government counterparts. Additional donations from the community are welcomed. Recent news reports have documented how furloughed federal employees in the DMV are having a tough time making ends meet as they continue to wait to receive a paycheck. 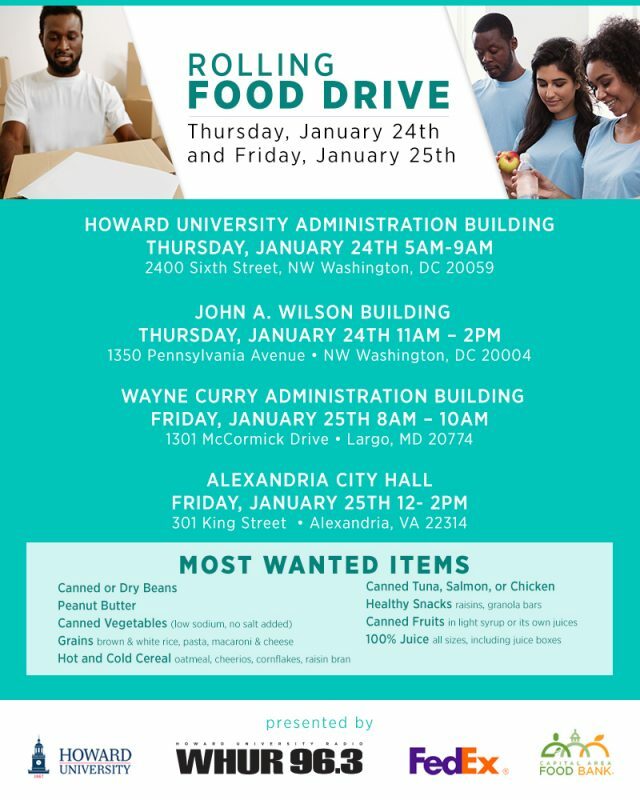 Howard University, WHUR 96.3FM and FedEx are leading an effort to host a rolling food collection drive throughout the region urging local government and private sector workers to bring canned goods to help lessen the burden for their colleagues. “It has now been over a month since thousands of federal workers have been off their jobs without pay. Many are having to make some tough decisions about day to day living. We hope this ‘rolling food collection drive’ will help to keep meals on the table for these employees,” said WHUR Interim General Manager Sean Plater. The goal each day is to pack the FedEx truck with enough food to feed hundreds of federal workers, added Plater. 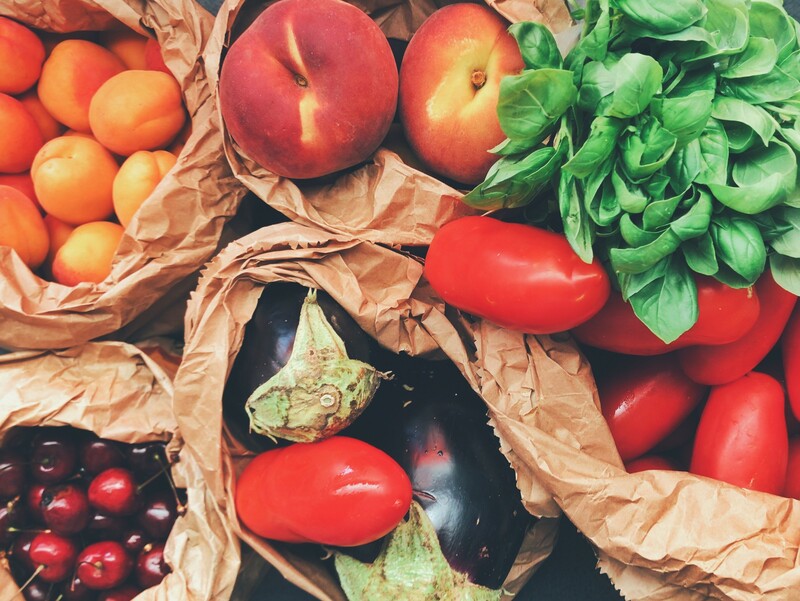 All donations collected will go to the Capital Area Food Bank, which has been hosting weekly food giveaways for furloughed workers and contractors. For more information, contact News Director Renee Nash at 202-253-4331.